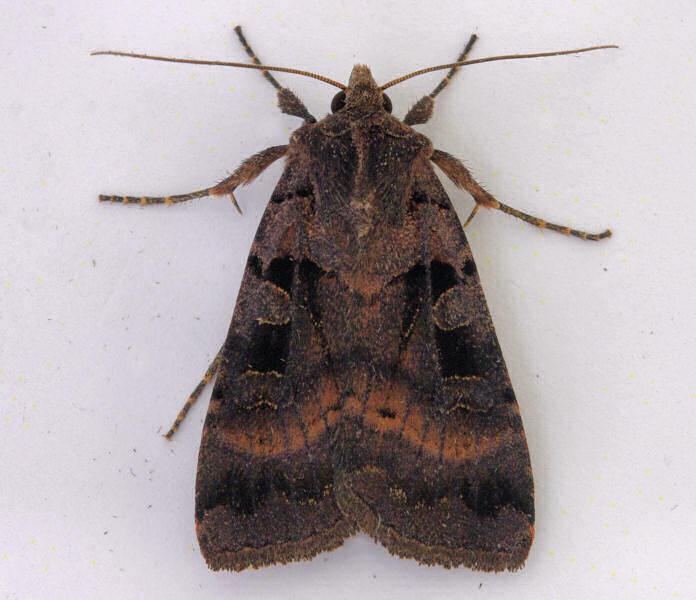 This 'Nationally Scarce B' species has only been recorded from a few scattered sites. 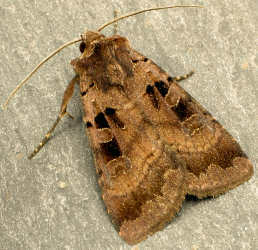 In recent times it has only been found in the north-east of the county. Wingspan : M & F, 37-44mm. Double Square-spot, Purple Clay, Triple-spotted Clay and Barred Chestnut. Established broadleaf woodland & scrub. Common nettle, dog's mercury & oxlip. Overwinters as a small larva. Larva Sept-May, feed mainly at night until mid Apr. Forms cocoon in the soil but does not change into pupa for several weeks.